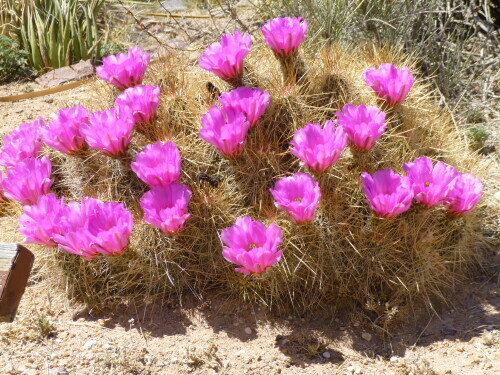 Echinocereus triglochidiatus (Claret Cup Cactus) is a species of hedgehog cactus known by several common names, including Kingcup cactus, Claretcup, and Mojave mound cactus. 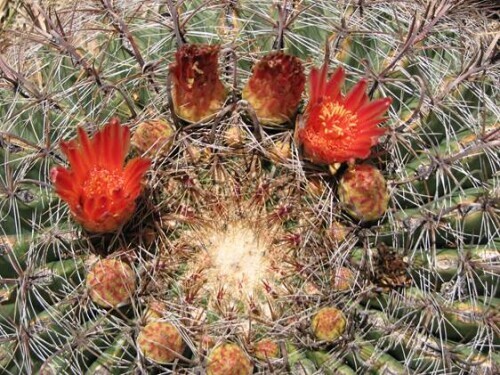 This cactus is native to the southwestern United States and northern Mexico. 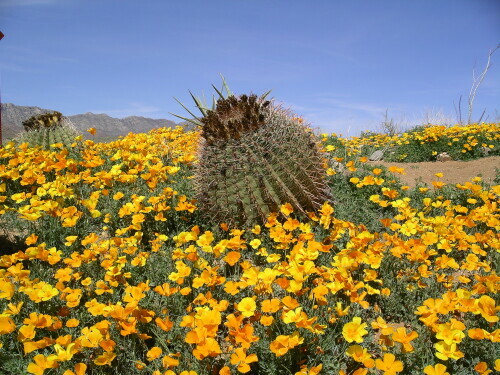 Mexican Gold Poppies are the plant that is most responsible for the brilliant wildflower displays that carpet the desert. The magnitude of these blooms, which usually occur between late February and mid-April, depend upon winter conditions and rainfall. Gold poppies are winter annuals and typically grow on rocky slopes, plains & foothills below 4500 feet. 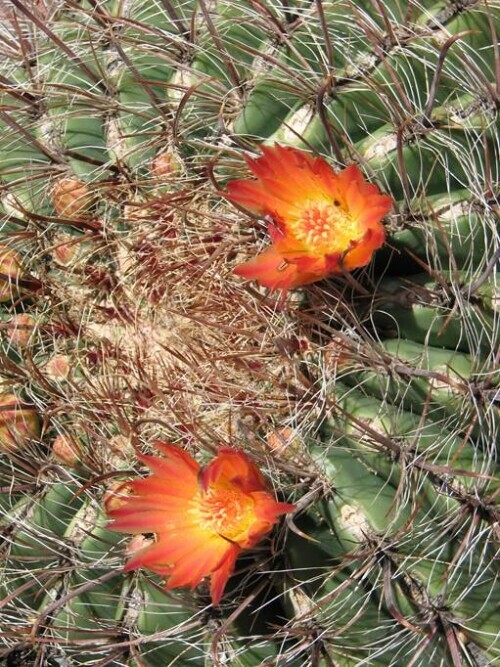 The Mexican Gold Poppy (Escholtzia mexicana) is named after Dr. Eschscholtz a Russian surgeon & naturalist. Flowers are bright yellow to orange with four petals which form a cup about 1 ½" wide. 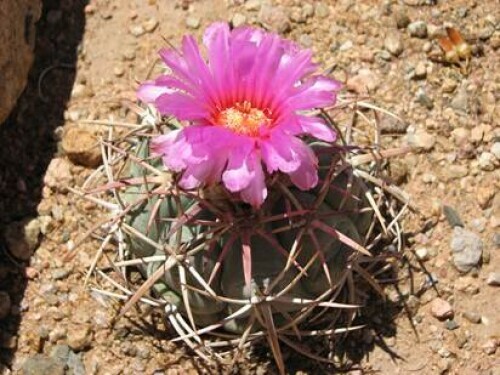 Flowers grow on a single stalk and remain open only in full sunlight. The plants grow to about 16" and have fernlike leaves about 2 ½" in length. 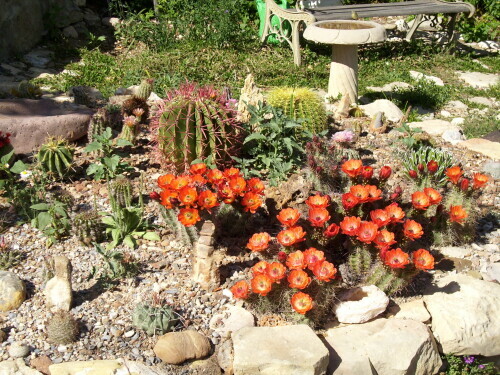 Field of blooming poppies, along with a barrel cactus at Caster Range, El Paso, Texas. 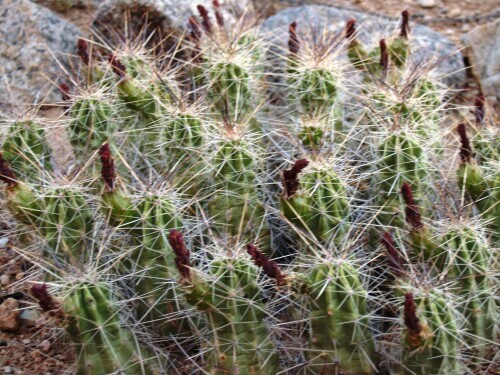 The Eagle Claw Cactus, found in the Franklin Mountains, is native to the southwestern United States and northern Mexico, specifically in Chihuahuan Desert and Sonoran Deserts. 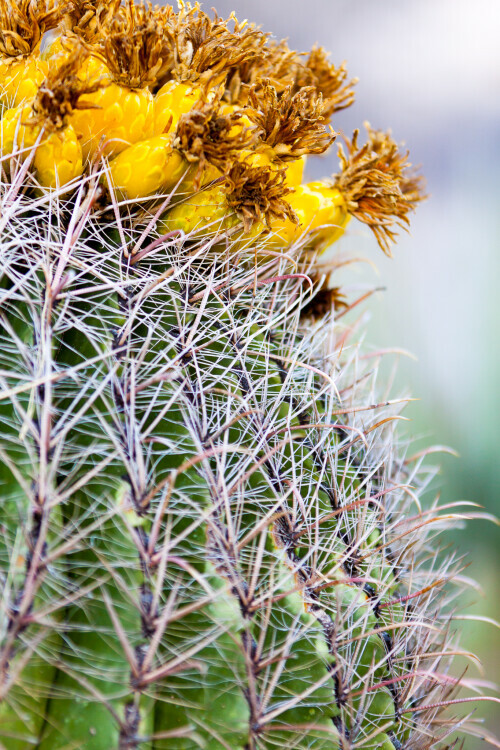 The Haystack Cactus, found in the Franklin Mountains, gets its name from its distinctive haystack shape. 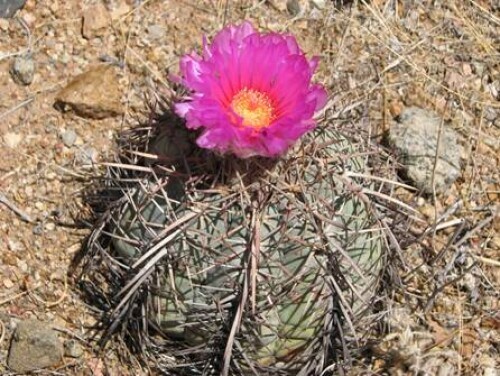 The Mansoon cactus can be found in the Franklin Mountains. 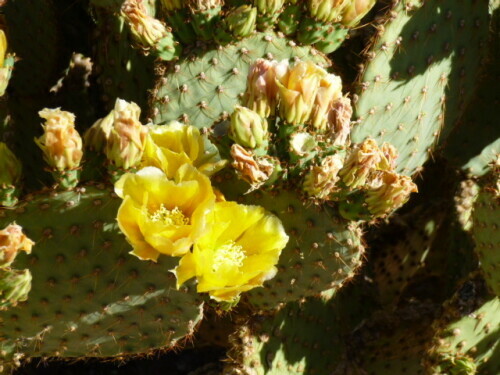 The Prickly Pear Cactus, found in the Franklin Mountains, can be found in all of the southwestern deserts. 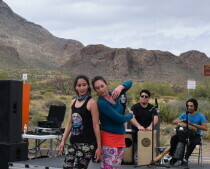 It is know for its food products, as well as health benefits. 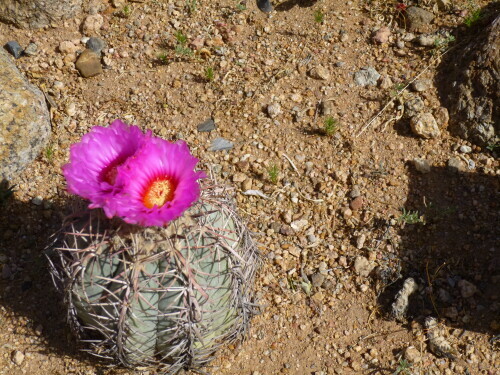 Image of a flowering cactus along the northeast ridge of the Franklin Mountain range in El Paso, Texas (2009). 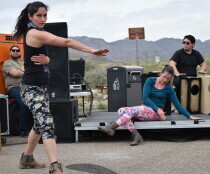 Borderland Cactus located in El Paso, Texas. 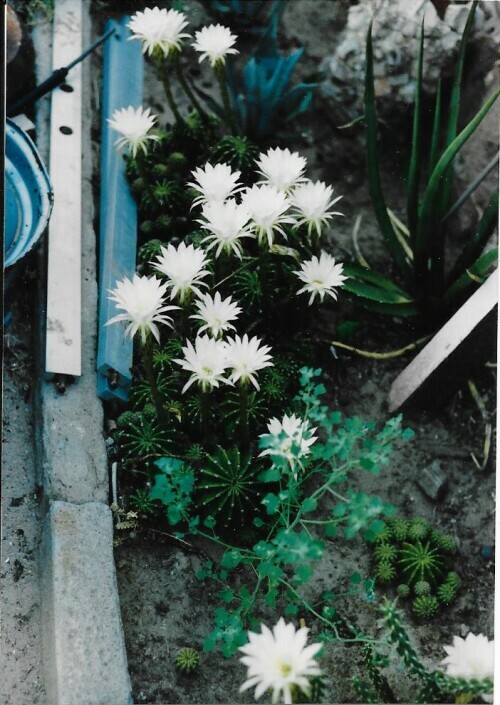 Cactus blooming near the Archaeology Museum. 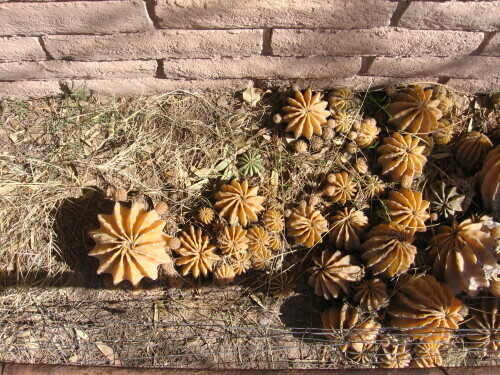 We lost these cactus in the big freeze several years ago, but they still make an interesting pattern. 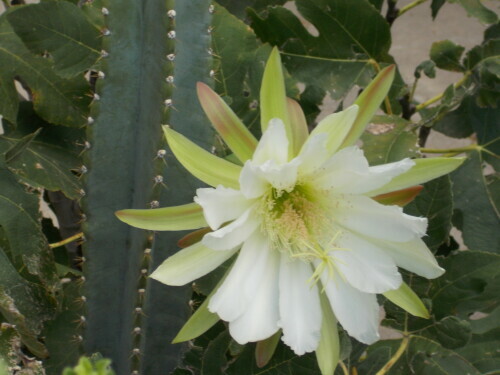 This cactus blooms on long stalks that are much taller than the actual cactus. 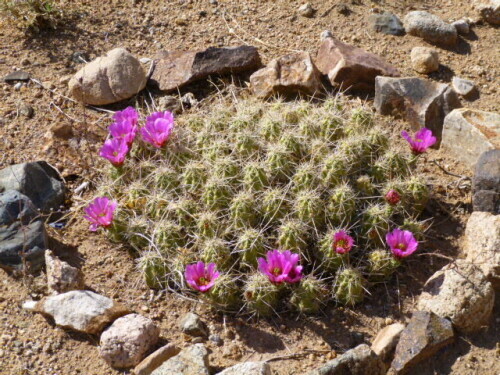 Pictures of Cacti in our backyard in El Paso during the last few years. 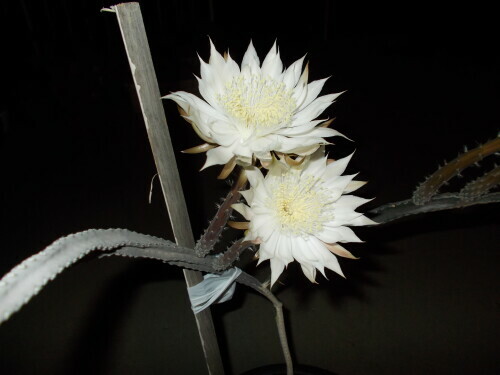 The flower of the Queen of the Night opens cactus one night in early June. 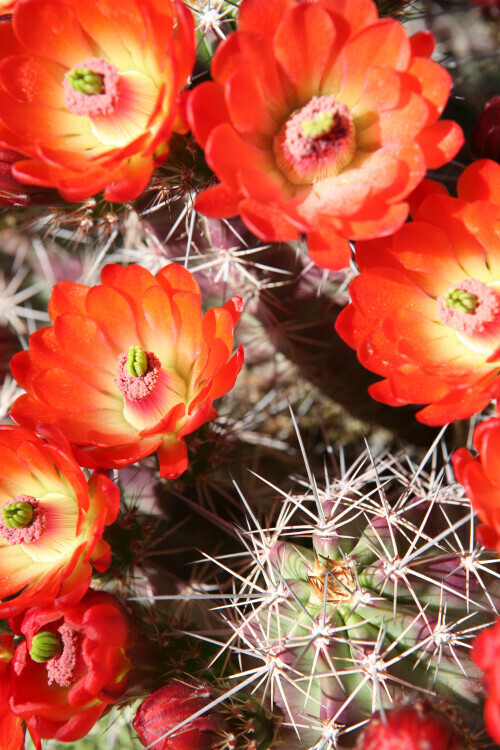 A Claret Cup cactus clump in our back yard - El Paso, Texas. 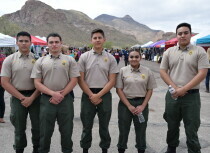 U.S. Border Patrol Explorers - Poppies Fest El Paso Texas - 2017.